4k00:23A mature scientist or chemist working in his laboratory using microscope. 4k00:08Scientist is looking through microscope with colleagues working in modern laboratory or medical center together. 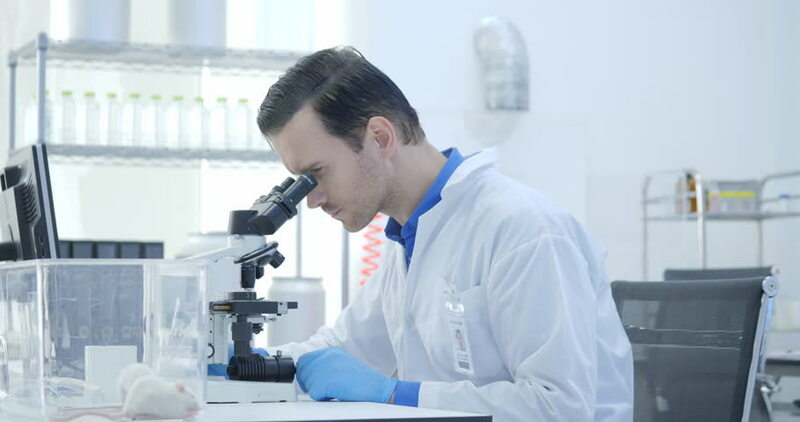 Concept of science, testing development and lab industry.